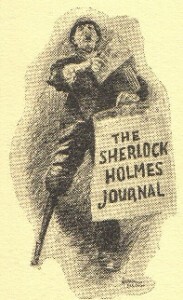 The Sherlock Holmes Journal is published twice a year, usually in July and December. 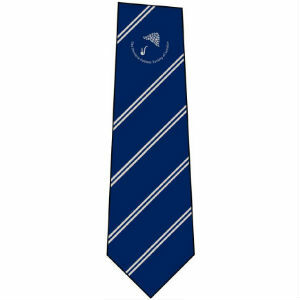 It is the official voice of the Society and contains its transactions, news and reviews, letters and editorial notes. 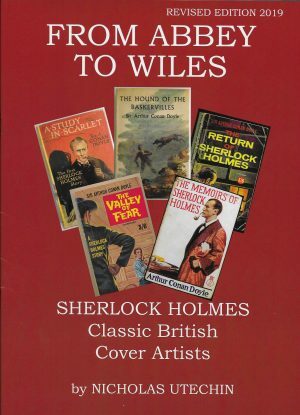 It is also home to the most erudite scholarship, publishing learned articles from Holmesians world-wide who have something to say on any aspect of Sherlock Holmes and his world. It has been appearing without a break since the first issue in May 1952. The Summer 2017 issue is now out. Editorial: "This Great International Affair"
The true “leading international agent” is Sherlock Holmes – and perhaps not in the way you think. Seven new BSIs were invested at the Baker Street Irregulars’ Annual Dinner. The new statue of Sherlock Holmes in Ekaterinburg has undergone a curious transformation. What is The Annoyed Sherlock Holmes? 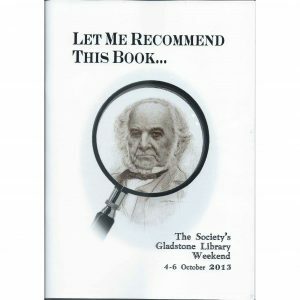 Moriarty’s Police Law – dedicated to Inspector Lestrade. Commissioning Editor Buys Enigmatic Plaque! When the Sherlock Holmes pub was the Northumberland Hotel. Our friend and colleague John Barker has died. There will be an obituary in the next issue. Evidence suggests that the true location of “the Cornish Horror” was not near Poldhu on the Lizard Peninsula. Could Jonas Oldacre actually have been charged with conspiracy and attempted murder? As Watson tells it, the Bruce-Partington submarine is a historical impossibility. Here are seven putative explanations. Holmes’s decoding of the Ritual answers many questions, but suggests several more. Our perception of Sherlock Holmes has its part in our perception of other people. The distinguished Canadian artist argues that Time is an illusion, and that Holmes and Moriarty have something in common with Schrödinger’s cat. 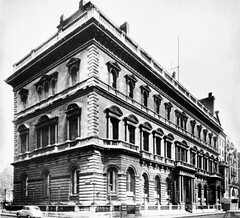 The Northumberland Arms became the Sherlock Holmes pub in 1957. 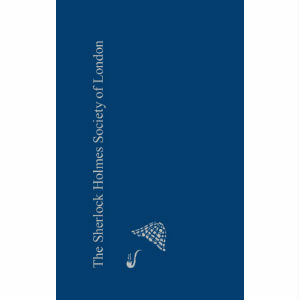 Like our Society, it owes its existence to the Sherlock Holmes Exhibition held in Baker Street in 1951. 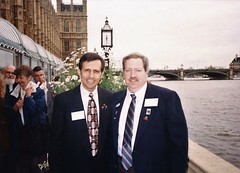 The Society was there at the beginning and still maintains a close relationship. An impressive new production of the play by Clive Francis toured in the Spring. RJ went to see it at Windsor. An effervescent humorous treatment of the classic chiller was performed in Chiswick by the amazing British Comedy Company. Eric Coble’s exciting and entertaining play, based on the graphic novels of Tony Lee and Dan Boultwood, was given its British premiere by Garden Suburb Theatre in Hampstead. What exactly was the “fixed scale” of Holmes’s fees – and who paid the bill? Those we have lost include the writers Colin Dexter and Austin Mitchelson; actors Tim Pigott-Smith, Roger Moore, Peter Vaughan, Bernard Fox and Geoffrey Bayldon; publisher Ian Henry Wilkes; and Holmesians Tony Bendall, Richard Dalby, Victor Hamilton, Jack Holman and John D Whitehouse. The guest of honour at the Annual Dinner was the award-winning writer, actor and comedian Mark Billingham. The second speaker was Robert Graham. “Performing Holmes: Changing Acting Style in British Television Adaptations” was the title of the 2016 Richard Lancelyn Green Lecture, given by Dr Richard Hewett. At the Annual Film Evening, Matthew Elliott presented an episode from the current Japanese TV series with the young Holmes and Watson as puppets, followed by an instalment of the impressive Russian film series from 2015. A classic format was revived for the Spring Meeting, when eight members each put the case for a different story as the best in the 1917 collection His Last Bow. "I Am an Omnivorous Reader"
Book reviews by Dan Andriacco, Mark Mower, Sarah Obermuller-Bennett, Gael Stahl, Jean Upton, Nicholas Utechin and Roger Johnson. Letters to The Sherlock Holmes Journal. "There Can Be No Question as to the Authorship"
Our resident cartoonist strikes again!